MICHAEL PHELAN Revolutionized the table and popularized the game in America. 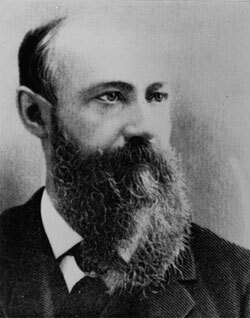 The Father of American Billiards. An expert player, author, manufacturer, inventor, and tireless promoter of the game. Worked endlessly to improve the game’s image, and spread its popularity to all levels of society. Authored the first American books devoted exclusively to billiards. Founded The Billiard Cue, billiards’ first periodical. His Arcadia Billiard Parlor, in New York City, set the trend for the lavish rooms to follow. Holds numerous patents for table design and cushions. Was the first to put ivory “diamonds” on the rails. His “angular” pockets—perhaps his greatest invention—led to incredible shotmaking streaks. Won the first major stakes match in American history, winning $15,000, in 1859. Inventor of the composite billiard ball. The inventor of the world’s first plastic. 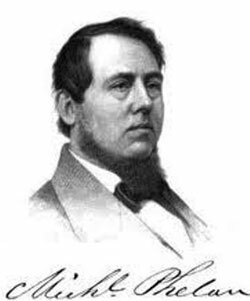 His discovery of celluloid, in 1869, revolutionized not only the billiard ball, but countless industries worldwide. Strangely, his discovery had more to do with billiards than any plastic-related vision or enterprise. His search began as a result of a $10,000 prize, being offered for a substitute for ivory, in the composition of billiard balls. Though his discovery was not deemed worthy of the prize, later advances in plastics led to the balls of today, and forever changed the face of the world. It can thusly be stated that the world’s first plastic was actually the result of a billiard-related quest: the search for a new material, for the perfect billiard ball. Invented the modern cue tip & Masse shots… honed the scientific edge of shotmaking. To the same Frenchman who gave us “tips” is due the credit of the discovery of low twist, or, as it is more commonly termed, screw. Some time before Carr astonished visitors to Bath, Mons. Mingaud, a well-known professional, was a political prisoner in Paris, his incarceration having been caused by a too free expression of opinion. In his place of confinement was a billiard-table, to which Mingaud had access and daily turned his attention, the practice serving admirably to while away the long tedious hours. In time he became skilful, but frequent disappointments through his cue sliding off the ball caused him to set his wits to work, and ultimately to devise the leather tip. Then followed discoveries consequent on the invention, until his power over the balls became surprising even to himself. When almost perfected in the management of the cue, he sent it forth to the world, but kept to himself the more important features, and did not disclose them until after his release. A few years later he became known as the great master of the game. He could nurse a break, screw, and cause his ball to follow with the utmost nicety and certainty. Happening once to be traveling through the northern part of France, he entered a café, where he found a player relating his adventures in Paris to an admiring and attentive group. His successes had been great at billiards. He had met Mingaud, who was a very fair player, but hardly the expert he had presumed he would find. Probably Mingaud could give him three in twenty-one. He had improved himself in Paris, and would show them the latest strokes. Then came a waiter with the balls, and the narrator proceeded to attempt, and lamentably fail in the demonstration of, certain hazards. After laying aside his cue, Mingaud quietly advanced, took it up, and struck the white ball, which, after contact with the red, recoiled upon him. Affecting extreme horror, he dropped the cue, and summoned the waiter, to whom he explained that when he had pushed a ball forward it ran backwards. The spectators were incredulous, and, in reply to their entreaties, Mingaud attempted another stroke, but with the same result. The balls were seized, and condemned as “tormented by a devil,” and the waiter proceeded to obtain a new set. 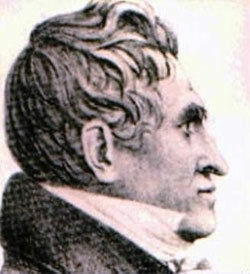 During his absence, Mingaud proposed a trial with the new-comer from Paris, who, only too happy, agreed to play, and, being the “crack” of the district, to give five points’ start. At first he was allowed to win, became exultant, and eventually was bold enough to express an opinion that the great Mingaud would be but a poor match for him. Suddenly the tables were turned; Mingaud played him at evens, then gave points, and eventually beat him with a start of fifteen in twenty-one. The spectators were interested at the outset because their townsman won, then amazed at the curious strokes exhibited by the stranger, who now screwed, now followed, and continued scoring, sometimes the full game, without allowing his opponent more than a single stroke. Brought table making into the Industrial Age. Invented the first slate table. English inventor and table maker. Among the first to mass-produce tables, with the onset of industrialization. Inventor of the slate table bed. Unsatisfied with the playability and warping tendency of wood, he set out in search of a new material. His discovery came in the form of slate, in 1826. Slate was cheap, readily available, and offered a far smoother surface. Its immense weight led to the construction of far sturdier tables. His innovation has truly withstood the test of time. Slate continues to be the material of choice in quality tables today. Gave us rubber and gave billiards bank shots. Discovered the process for the vulcanization of rubber. Applications of his discovery revolutionized the billiard cushion (as well as a hundred other industries). Vulcanized rubber was stable and consistent. Unlike previous rubbers, it retained its resiliency in the most searing heat and the bitterest cold. 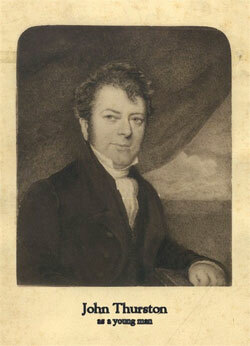 John Thurston was the first to use Goodyear’s discovery in the construction of billiard cushions. The result was a consistent, reliable cushion. Bank shots, once unpredictable, became integral parts of the game. Vulcanized rubber has proven so unsurpassed, it is still used in cushions today. 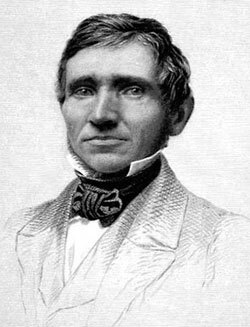 Charles Goodyear, sadly, profited little from his discovery. He was imprisoned for debt, his company folded, and he died a veritable pauper. The first big name in the American Billiards Industry. Swiss immigrant and woodworker. Emigrated to America in 1819. Built a billiard table factory in 1845. For nearly 150 years, Brunswick has been the most visible name in American billiards. 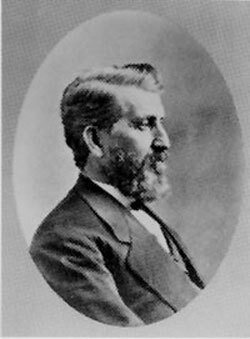 Merged with his two largest competitors—Julius Balke, in 1873; and Phelan and Collender, in 1884. Officially became “Goliath,” the largest billiard company in the world. Passed control to his family, upon his death, in 1886. For over forty years (until the Depression), the company enjoyed an incredible upward spiral of profits, growth and success. Entered (and soon monopolized) the bowling industry. Worked hard to improve billiards reputation, by teaching and donating tables to charitable groups. Drastically cut product lines during the depression. Survived and grew again as economy improved. Sponsored thousands of tournaments over the course of the centuries. In the world of billiards, Brunswick remains the dominant name in American pool rooms and homes.